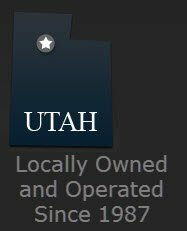 Posted November 6th, 2010 by CarSoldForCash & filed under Uncategorized. Carsold4Ca$h adventures happen every day! We find the MOST RANDOM things. 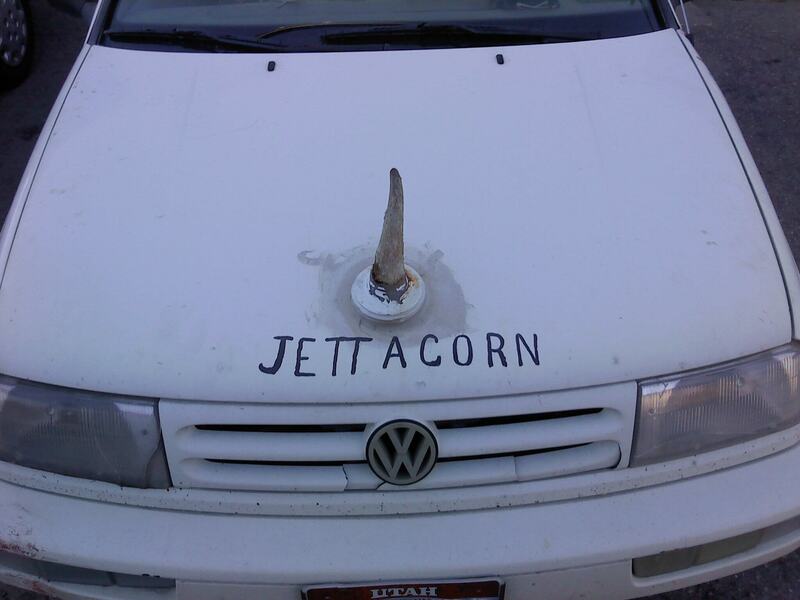 Random people are a huge reason we love what we do BUT even better than the random people are their random cars. 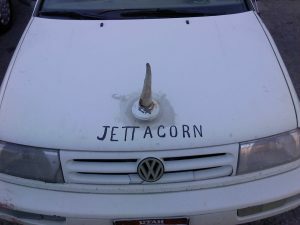 Ladies and gentlemen, we present, like a mystical unicorn roaming the streets of Utah, THE JETTACORN! 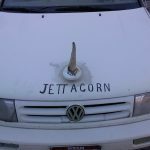 A Volkswagon, Jetta lovingly customized to be even uglier than the original condition of the car was.